In celebration of Valentine's Day, we're offering these two free romantic printable Valentine's Day signs! 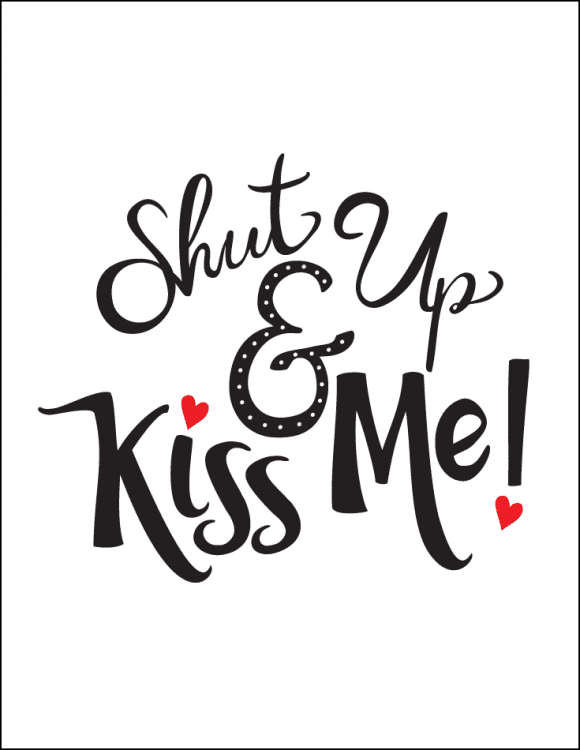 We've got a "Shut up and kiss me!" sign and a "You had me at hello" sign. We designed them to help you bring a little spice and romance to your Valentine's Day. These would look great at a special Valentine's Day dinner, Valentine's Day party, or even as everyday decor in your home. Each sign fits nicely in an 8x10 inch frame. Download the file, save them to your computer and print them out. Then cut them down to fit in your frame and voila! 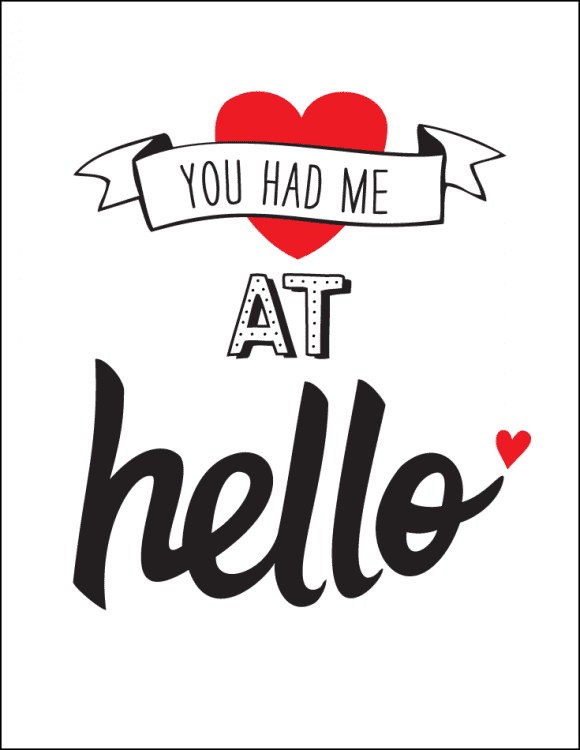 DOWNLOAD the free printable romantic Valentine's Day signs here! These gorgeous printables were designed by Ana at Love Party Printables. To learn more about Ana and see all of her designs, please visit her on her Facebook page. 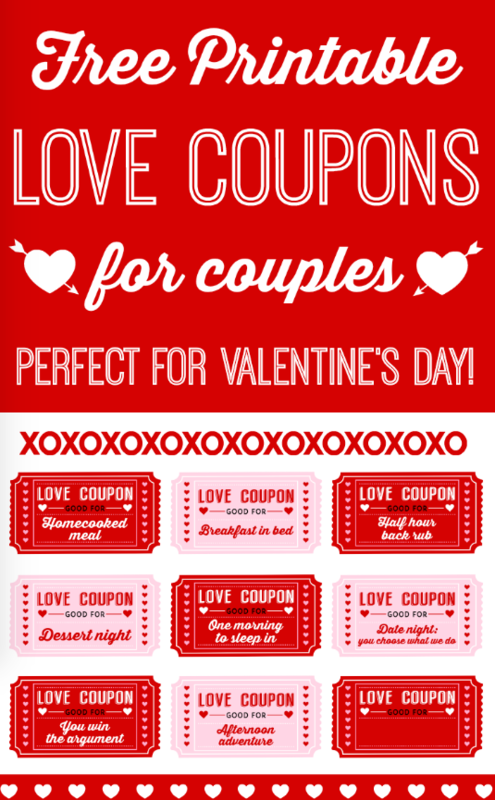 And to spice up your Valentine's Day even more, check out our Free Printable Love Coupons for couples. For more inspiration, check out all our Valentine's Day parties, Valentine's Day crafts and recipes, and free Valentine's Day printables!